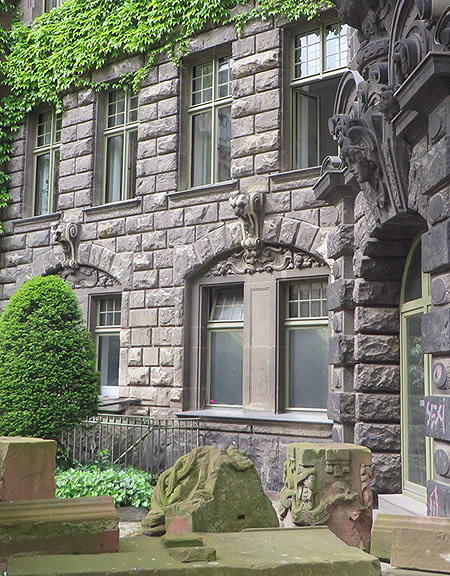 It's located just minutes from Kreuzberg's famous Jewish Museum, yet we're willing to bet that few of Berlin's visitors ever get to see this beautiful hidden courtyard. 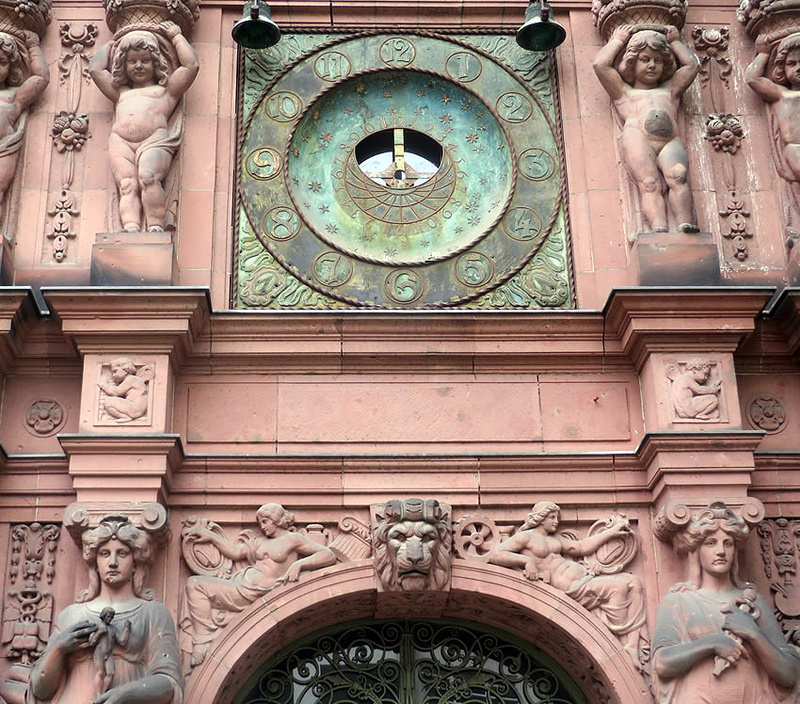 The Victoria Versicherung (Victoria Insurance) building was constructed between 1893-1913 in exuberant, neo-baroque style. 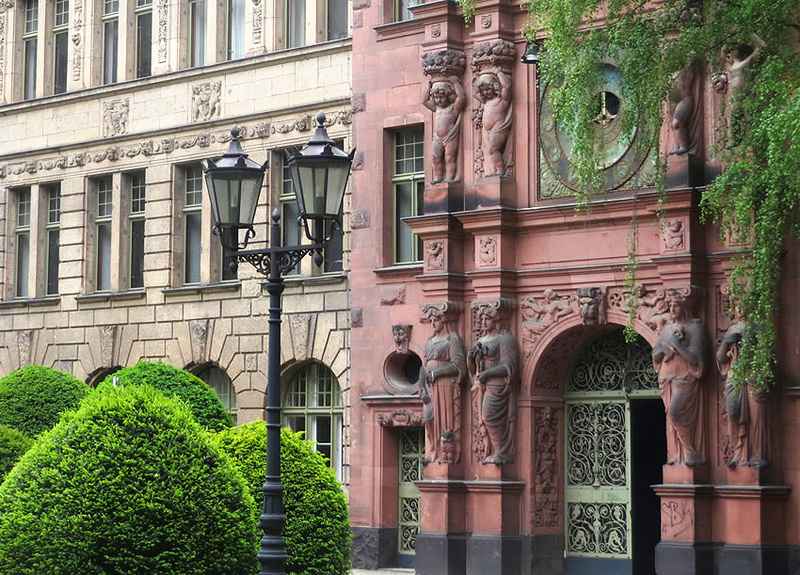 Although the enormous structure was badly damaged in WWII bombing, much of the richly detailed facade - and three-quarters of the impressive main courtyard - survived. 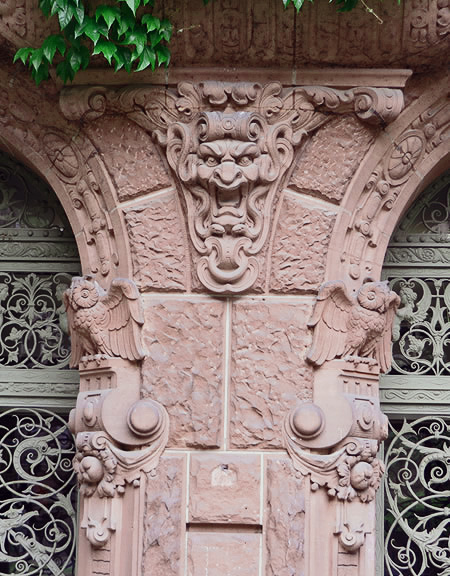 A stunning secret gem, the leafy enclave boasts its own astrological clock (now, however, sadly defunct) and a wealth of breathtakingly elaborate ornamentation. If you happen to be nearby, it certainly merits a short detour - or even, we'd say, a visit in its own right.